My cooking classes in Siena (San Gusmè) are all different and we will decide together what dishes to prepare. I enable you to enjoy a real Italian meal at your holiday home or if you prefer in San Gusmè (Zia Nara’s house), a typical Tuscan Village in the Chianti countryside. A typical cooking class starts with choosing the groceries on the day of the dinner. To make sure I use pure and high quality ingredients I have selected some small suppliers. Like we say in Italy “di fiducia”. Cooking fresh and seasonal products is the must of my cooking lessons. All my recipes are presented in a concise and easy to use way, so as to provide insight into the simple but traditional cuisine. I allowing diners to reproduce them easily for their family and friends in their own familiar environment. 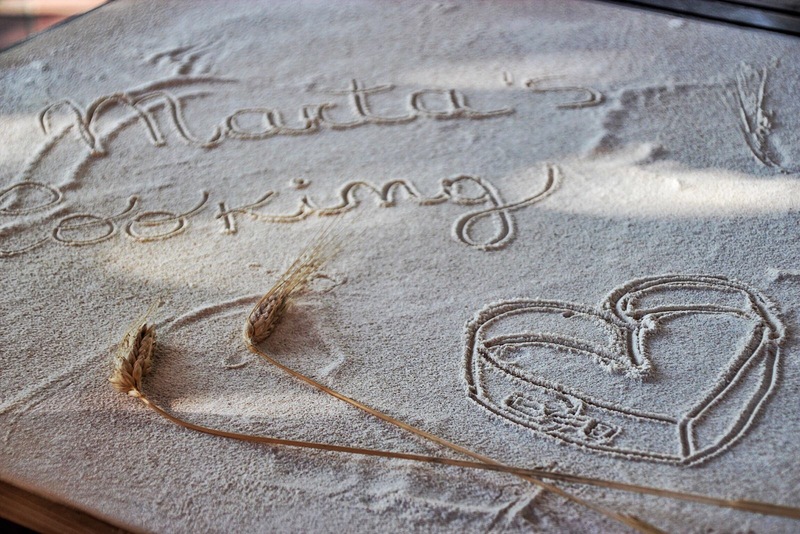 What would you like to eat during Marta’s cooking classes Siena? I have a varied menu which consist of an antipasto, main course, second course, side dish, bread and water. Wine is not included. From this menu you can choose one dish per cooking classes (it will be the same menu for the whole dinner). If you have a favorite meal or one you want to try, I will do our best to accommodate you. What can you expect from the Cooking Classes Siena? In my cooking classes you don’t have only the pleasure of rediscovering old flavors and tastes but to revisit, in the preparation of the dishes, the historical period. The mystery and the cultural variations and nuances that will make this encounter not just a cooking experience but an evocative emotional journey of all your senses. Where and when would you like to have a cooking lesson? 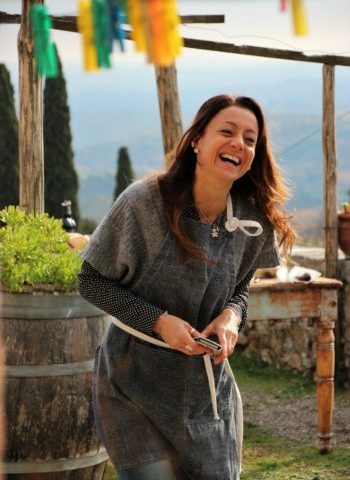 I work all around Tuscany, especially Siena Chianti Countryside and cook with you to experience a different holiday day. Please contact me by phone or e-mail to let me know your preferred date and the location where you are staying. At your holiday home the following things should be at my disposal for the cooking lesson: a (clean) kitchen, a (4-burner) stove, oven, plates, glasses, dishes and cutlery to serve you and your party, but if you don’t have some kitchenware I can provide to bring what it is needed. We arrive about three or four hours before dinner time depending on the menu, to prepare together the cooking lesson you have chosen. Normally, dinner will be served around 8 PM, but if you have another preference please feel free to inform us up front. This type of cooking classes is what I prefer but it is limit to 4 people. Working in a kitchen that I know is more simple and faster for me. You can arrive in San Gusmè one hour before the cooking class will start with an aperitif. 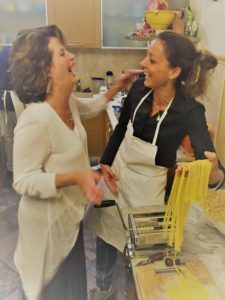 Another plus for this cooking class in Siena is that we provide you with a visit to typical Tuscan Village in the Chianti Countryside where the dishes ware passed down from mother to daughter. Normally, the cooking class lasts from 5 to 8 hours. Contact me for any questions and details for my cooking classes in Siena.